The Comprehensive Transportation Plan or CTP is a long range plan, that was developed and is continually updated through a collaborative process among citizens and CRTPO town and city officials to envision future transportation needs. It contains big ideas for what is possible and is all encompassing and comprehensive. 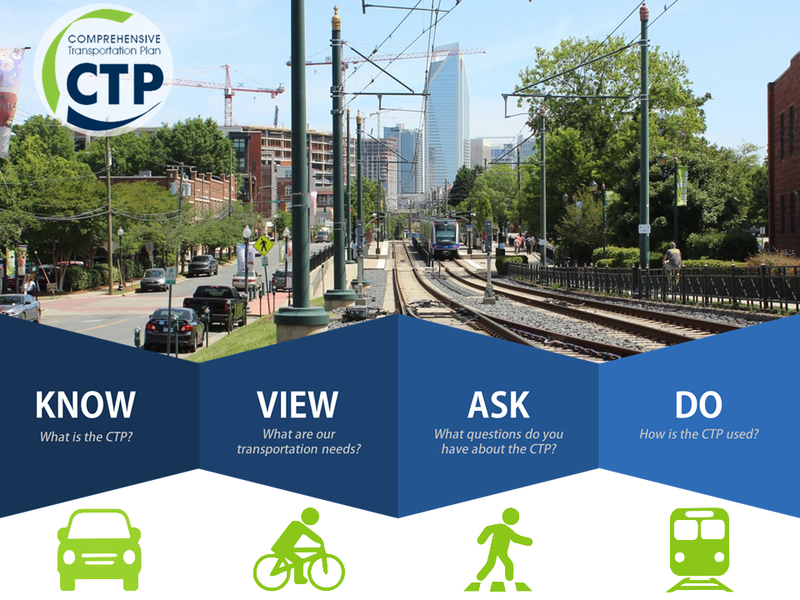 The CTP outlines future improvements for the entire transportation network, from roadways and transit to bicycle and pedestrian accommodations. It provides the foundation for what will become the transportation priorities over the next 50+ years. Click on the blue KNOW / VIEW / ASK / DO banner below to learn more!